Getting arrested is a scary time for most people, especially if the crime in question is a serious one. You grapple with fear, anger and hopelessness. 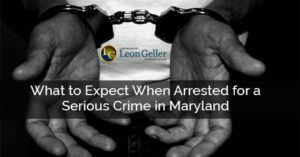 In Maryland, what happens once you are arrested depends on the nature of the crime. The law requires that the arrested person be brought before the commissioner no more than 24 hours after their arrest. The police will present the commissioner with an application for statement of charges that summarizes the allegation(s) and incriminating evidence. You aren’t on trial and thus cannot testify or provide evidence at this point. Your attorney can however challenge the evidence through cross examination. The commissioner will then determine if there’s probable cause for you to be charged with the crime. They’ll consent to some or all of the charges against you. If no probable cause is established, the charges are dismissed and you are free to go. If the charges have been consented to by the commissioner, the police will take your fingerprints, DNA, and basic information about you including your income, employment, residence, family relations and criminal history. The officer will also check if you have any open cases or outstanding arrest warrants. You will be brought again before the commissioner for a determination on what bail (if any) will be imposed. The principle of bail is based on the presumption of your innocence. The time it takes to be presented before the commissioner this second time depends on the number of arrestees that need to be processed. Expect more delays over the weekend since there is often a significantly higher number of arrested persons. The commissioner will then set a bail amount to be paid before the defendant can be released. It is based on the nature of the crime, your flight risk, employment status, family status and likelihood of committing more crimes upon release. Bail can be paid via cash, credit/debit card, cashier’s checks, certified checks, property equity, stock certificates, letters of credit or certificates of deposit. If you appear in court on all required dates, the bail will be refunded to you once the case is concluded. Otherwise, the bail amount is forfeited and an arrest warrant issued. If you have not succeeded in raising the set bail, you will be brought before a judge usually by the next business day. While before the judge, you can request for more favorable preconditions for your release including a reduction in the bail amount. Note that there are offenses where the commissioner is prohibited from setting a bail since the defendant is required to proceed directly to a judge. 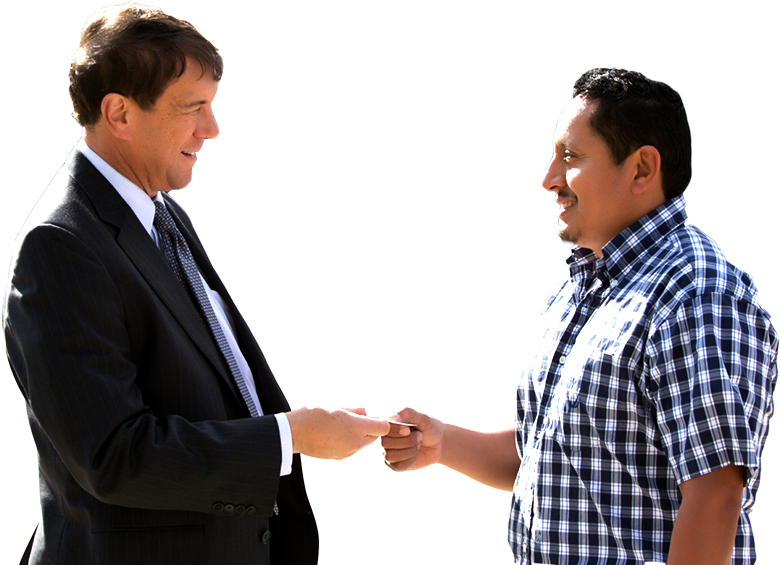 When you appear before the judge for an arraignment, you will be formally charged. You may either plead guilty, not guilty, or no contest. If your alleged crime is punishable by at least 90 days of incarceration, you may request to have a jury trial. Jury trials are often reserved for the most serious charges and the case is handled by the Circuit Court. All others are brought before the District Court where the cases are determined by a judge. If convicted, your sentencing will depend on your criminal history and the severity of the crime. If you have been arrested for a serious crime in Maryland, you need to have an expert criminal defense attorney Rockville, MD by your side as early in the process as possible. Attorney Leon Geller is a seasoned lawyer who handles criminal cases on a daily basis. Contact him today to understand your options and safeguard your rights.